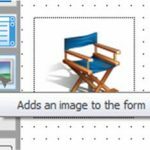 Scanfile makes search and display child’s play – whatever you’re after: just enter your search criteria in the archive or library toolbox. The software then presents you with a list of documents matching the search criteria. Naturally, Scanfile also goes through the full document content, where this has been previously read in using full text recognition. Using the hit-list, the user can initiate a range of functions, such as to print the document or attach it to an e-mail. A personal hit-list is set up for each Scanfile user, so that a dedicated store of frequently-used documents can be maintained. 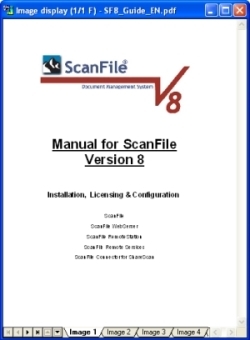 ScanFile also displays the documents. The software can handle over 200 file formats. There is no requirement for the software with which the file was originally created to be installed on the respective PC to display the documents. Zoom and rotate functions are offered by ScanFile, as are extensive navigation functions.